Announcement ★ Welcome to my Etsy Shop ★ As seen on the Hart of Dixie and the Vampire Diaries ★ Here you will find handcrafted copper and silver jewelry adorned with leather, art glass, silk, vegan wraps, beads, and more! Enter ETSY104U at checkout for 10% off all the time! Current ship times are 1 - 2 weeks. If you need something sooner, please let me know and I will try to accommodate, if at all possible. Please check my policies before purchasing. PACKAGING - All items from 2 Little P's are carefully packaged in our Signature Gift Wrap & organza ribbon, and are ready for gift giving to yourself or someone you love! 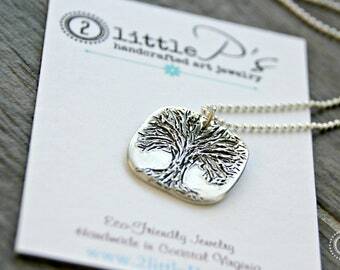 ★ Welcome to my Etsy Shop ★ As seen on the Hart of Dixie and the Vampire Diaries ★ Here you will find handcrafted copper and silver jewelry adorned with leather, art glass, silk, vegan wraps, beads, and more! So incredibly unique and cute. Beautiful packaging and prompt delivery. I couldn’t be happier! Our Clear Hearts necklace was was worn by Nora Scarlett Byrns) on episode #704!! Where shall you go next? We specialize in personalized jewelry. Our Swivel Sticks earrings were worn on Hart Of Dixie! Proud to offer a vegan alternative to those who prefer not to wear silk! Proud member of the Artisan Group, a juried group of artisans specializing in handmade goods. As seen on The Vampire Diaries! Our Clear Hearts Necklace is worn by Nora on The Vampire Diaries on episode #704! Welcome to my storefront where you will find handcrafted jewelry made from pure silver, sterling silver, and copper. I create many of my pieces using Precious Metal Clay; either sterling or pure silver, and Copper Clay. Precious Metal Clay originated in Japan in 1990, and is a crafting medium consisting of very small particles of precious metal mixed with an organic binder and water; made from eco-friendly, reclaimed silver. It's pretty amazing stuff and I really love working with it. 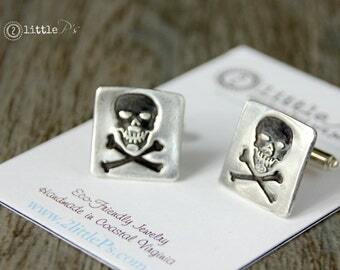 I use 99% pure fine silver, sterling silver which is 92.5% pure, as well as copper in my designs. Metal clay is really cool. It is pliable so it can be formed, sculpted, or shaped just like any soft clay, either by hand; using cutting tools and molds, or by using different shapes, textures, and colors. I like it because the possibilities are endless. After the pieces are sculpted, dried and sanded, they are fired in a kiln where the binder burns away, leaving beautiful, one-of-a-kind, precious metal behind. The pieces are darkened, or “oxidized,” with patina and polished to a perfect shine. I like to combine my pieces with leather, silk, beads, and sea glass. There are many beautiful things that tickle my fancy but these are just a few! I love special occasions - birthdays, Christmas, etc. I love giving gifts! And I love giving gifts for no particular reason, too! There is nothing better than giving someone a meaningful gift that you put a lot of thought into and seeing their face light up when they open it! This is why I artfully gift wrap each piece in boutique quality packaging suitable for gift giving so you can leave your gift giving worries to me. I will make sure your gift is perfect! 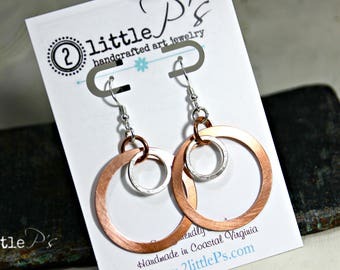 2 little P’s Art Jewelry has been busy crafting custom pieces for 2013 Oscars, the 2013 Emmy Awards and the 2013 Golden Globes, as well as the 2014 MTV Movie Awards through the GBK celebrity gifting suit. We've gifted the stylists of The Voice, Baby Daddy, The Fosters, The Vampire Diaries, 2 Broke Girls, and the Wendy Williams Show! We even gifted Renee Zellwegger! Recently, our Swivel Sticks earrings were seen on Hart of Dixie, and our Clear Hearts Necklace was seen on The Vampire Diaries! These opportunities were made possible through The Artisan Group; a juried group of artisans specializing in handmade goods. Take a look around. I hope you like what you see! If there is something you want but don't see, or you have an awesome idea that perhaps I can help with, please send me an email at info [!at] 2littlePs.com, and we can work together to create what you envision! 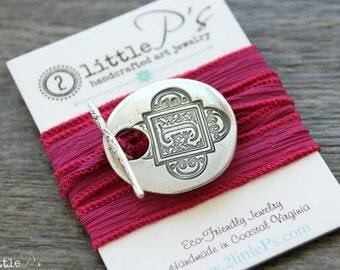 Welcome to 2 Little P's ~ Handcrafted Art Jewelry!